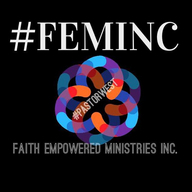 At Faith Empowered Ministries, the mission of our church is to teach, preach and exhort the word of God. We strive as a ministry to elevate, empower and encourage believers and non-believers through our fervent prayers and the word of God. Our mission as one body is to help both believers and non-believers explore their relationship with God and improve those meaningful relationships in their personal and family life.